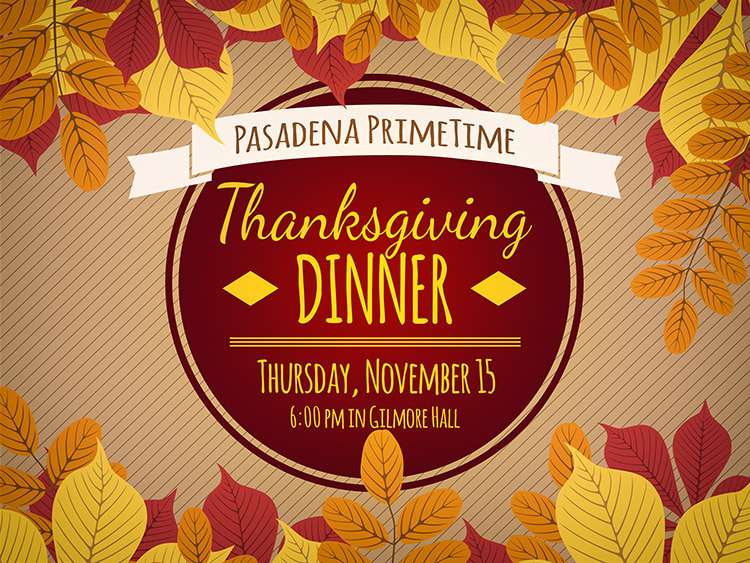 If you are age 55 or better, come enjoy an evening of thanksgiving and special music from the Maranatha High School Ensemble Choir on Thursday, November 15, at 6:00 pm in Gilmore Hall. The cost is $20 per person. Sign up at the Welcome Center on Sundays or contact Pastor Darwin Ng at dng@paznaz.org or 626.351.2461.